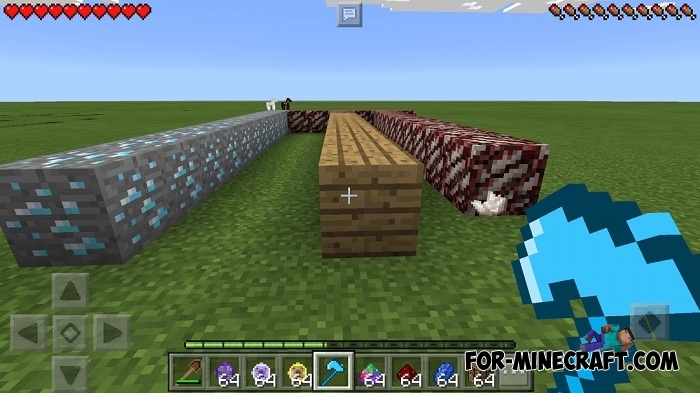 Moldable Tools is a small mod for MCPE which adds 9 magical orbs having different characteristics. These orbs can turn into any tool depending on what you are doing. 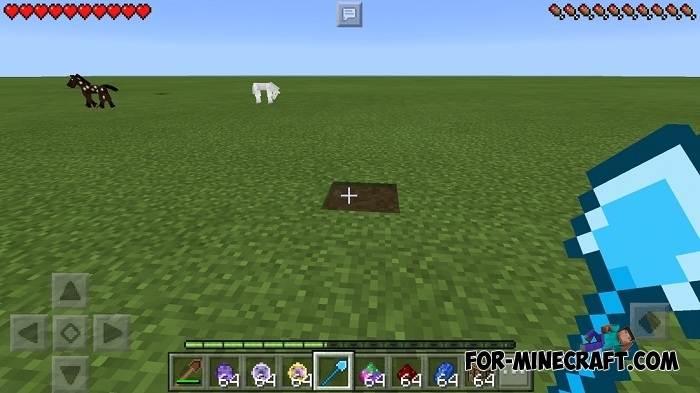 For example, if you take any orb and and try to break a dirt block then the orb will be transformed into a shovel. If you hit a mob, the ball will turn into a sword. 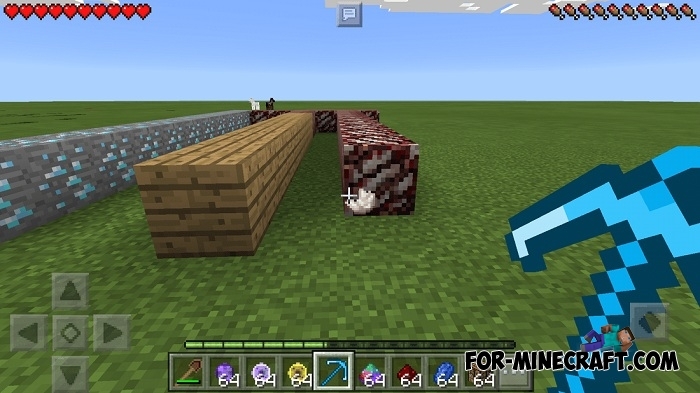 Support for Minecraft PE from 1.1 to 1.7. 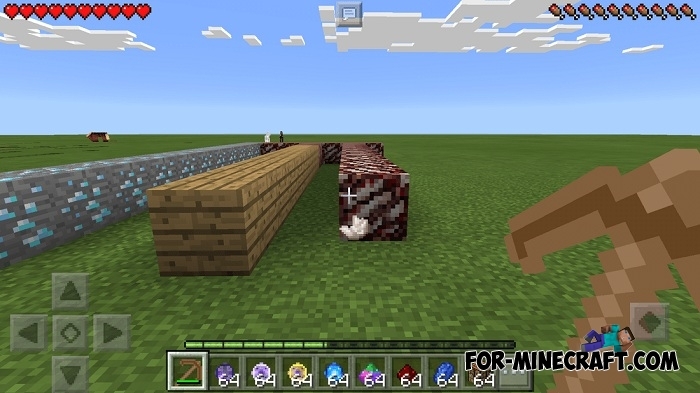 Added 4 new orbs (they outperform the orbs from the previous version and can break any block). Crafting recipes are identical to the previous ones except for the main element. 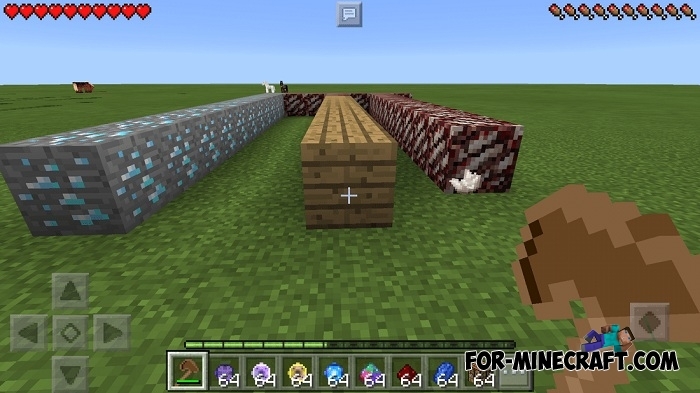 There are 9 orbs: quartz, redstone, obsidian, emerald, diamond, gold, iron, stone and wood orbs (and moldable dust needed for crafting). Each of them has different characteristics and a crafting recipe (see below). The best is the quartz orb, it can destroy everything. The Moldable Tools mod will radically change the extraction of resources. Now you do not need to select a specific tool, the mod will do it for you. This will save a large amount of your time. 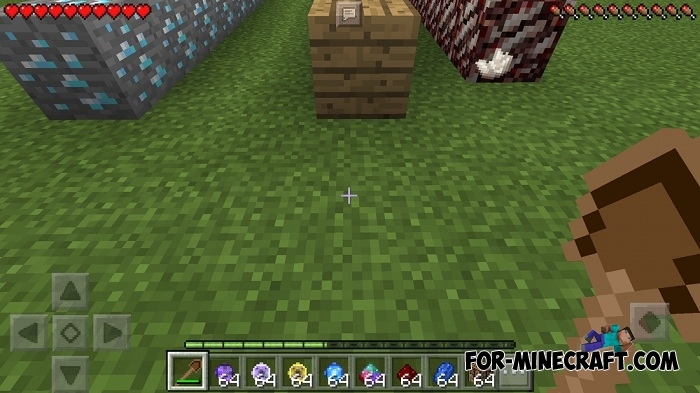 Click on the wrench in the center of the screen and select ModPE. Activate the mod and restart the game.